It’s the day. 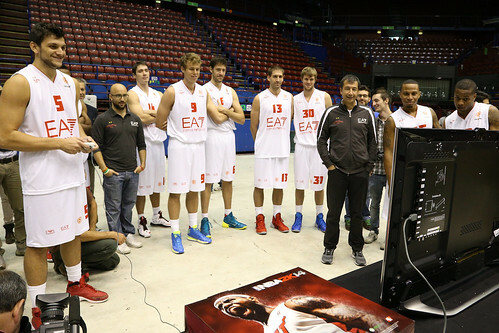 NBA2K14 is available in stores in Italy starting October 4 and so the basketball videogame more famous, sold and appreciated in the world was introduced today during the Euroleague Media Day at the Mediolanum Forum. 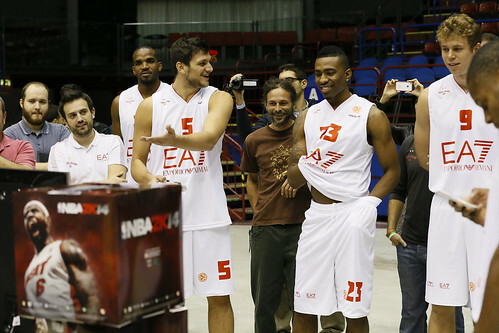 This year 14 Euroleague teams are included in the game traditionally reserved to NBA teams. Among them Olimpia Milano. The players today tested the videogame they’re part of. Alessandro Gentile challenged David Moss one vs one then Keith Langford entered the game with Nicolò Melli aside and suddenly the console stole the scene and became the central part of all the activities…. 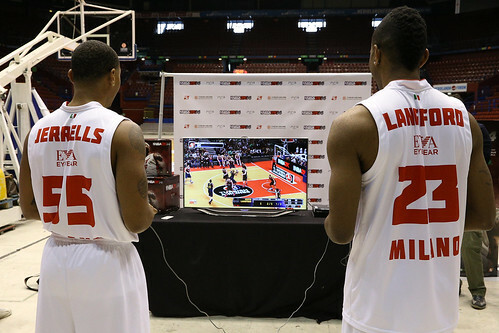 Here Curtis Jerrells and Keith Langford playing the game.